We have been working out way through the beam analysis methods of in the NASA-TM-73305. analysis manual. 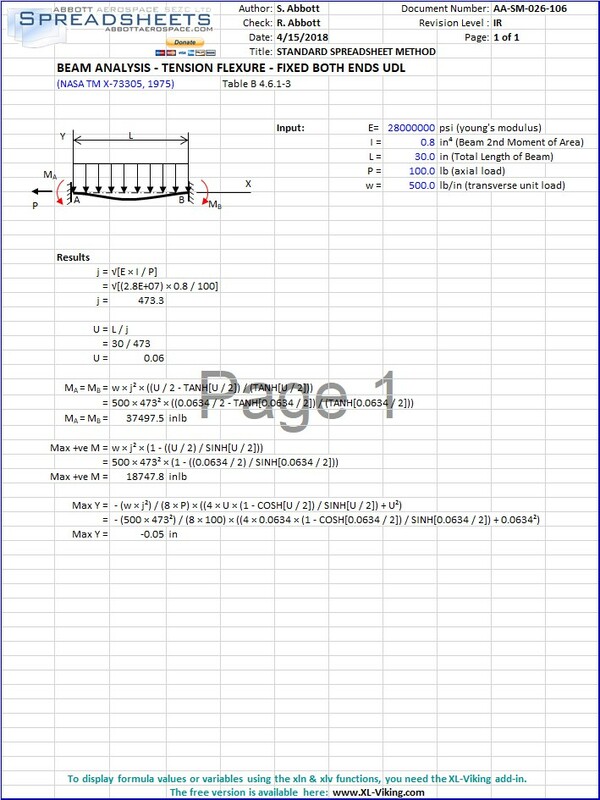 This latest set of spreadsheets is for combined tension and flexure of simple beams and have been authored by my talented daughter who is an engineering student at Ryerson University in Toronto. I have checked than so any remaining mistakes are mine alone.